We’re Baltimore proud to bring you small batch handcrafted beers inspired by nature right here in the city.  The Baltimore Checkerspot is the Maryland state butterfly, which embodies our belief that without local appreciation, nature and quality ingredients, great beer does not exist. Our very own Amethyst got to choose her dream dessert IPA, so torrone it was! 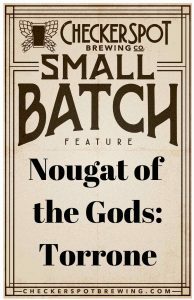 This Italian style nougat has notes of vanilla, almond and Meyer lemon with a strong tropical style hop presence in the New England IPA style. 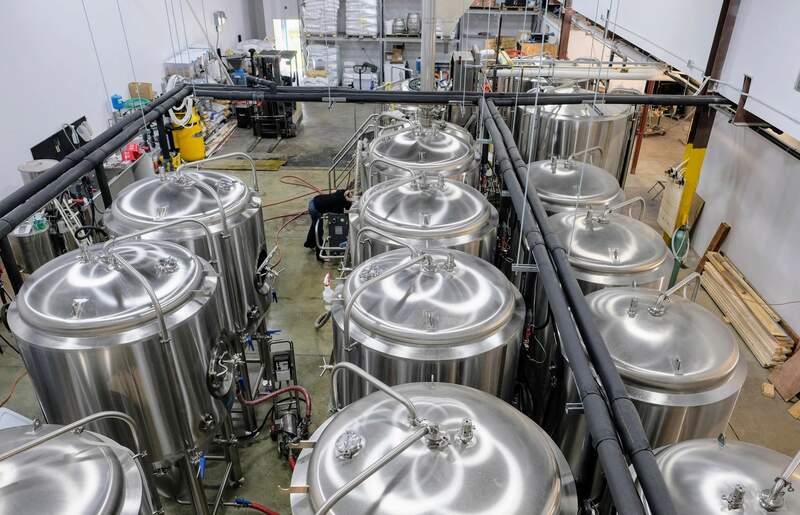 This really won’t be around long – small batch pilot beer. Come to celebrate O’s Opening Day at Checkerspot! We open early at 10am, Bottoms Up Bagels will be here with some fun baseball-inspired food. 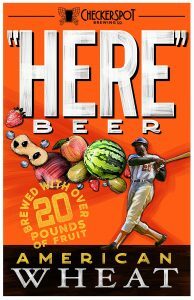 We’ll have “HERE” Beer with paw paw fruits on tap to honor #20 Frank Robinson. Brandon Nicklas will be here selling his iconic HERE shirts and a portion of the proceeds will go to the Baltimore Urban Baseball Association. 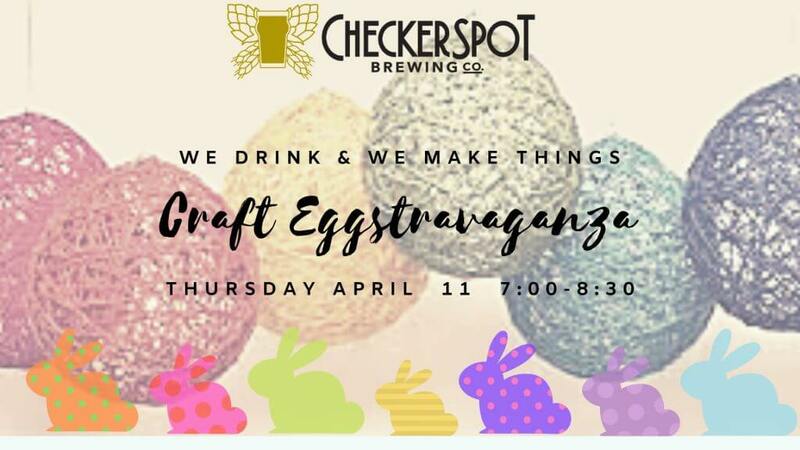 On Thursday April 11th from 7 – 8:30pm, join She’s Crafty for another fun nite of drinking and making things. We will be using LOTS of glue to make some spring egg decorations and candy holders. 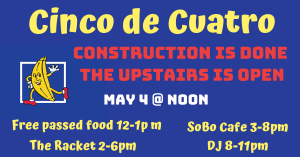 The Racket will rock out from 2-6pm, followed by a local SoBo DJ from 7-11pm. Free passed samples of food coming out of the Checkerspot kitchen and then SoBo Cafe will have food available afterwards. 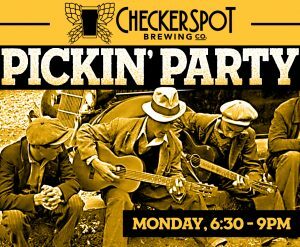 Pickin’ Mondays every Monday from 6:30 – 9pm. Pull that guitar, harmonica, percussion or anything else you can think of and join the hootenanny every Monday. Sunday Drivers! Join us the last Sunday of May, June, July, and August. 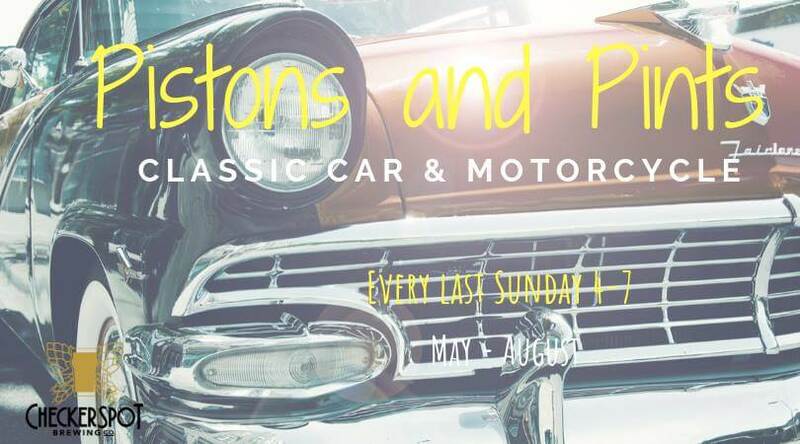 Show up with your classic car or motorcycle and grab a cold one on us. We have a large parking lot with lots of shade for those hot summer days. Nougat of the Gods: Torrone (7.2%). The first of the Nougat of the Gods series inspired by our own Amethyst. Dessert IPA with El Dorado and Equinox hops, vanilla, roasted almond and Meyer lemon peel. Hoppy torrone in a glass! “HERE” Beer (6%). A nice light American style wheat beer with paw paw fruits from Deep Run Orchard in MD. This Frank Robinson tribute beer is perfect for O’s season! 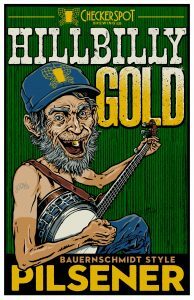 Hillbilly Gold (5%). Light, crisp with that awesome lager finish. A German Pilsener brewed in collaboration with local beer historian, Maureen O’Prey. We re-created a pilsner brewed in 1905 era at the Bauernschmidt Brewery in Baltimore. We used some traditional European pilsner malt and some local Pilsner malt from Dark Cloud Malthouse and Chesapeake Malting, as well as Cluster hops from upstate NY and traditional Hallertau hops from Germany. 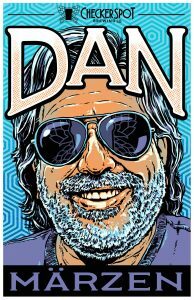 Dan (6%). A traditional German Märzen with a rich malt and crisp lager finish. In honor of our electrician Dan who has gone above and beyond, so a solid great beer for a solid great guy! 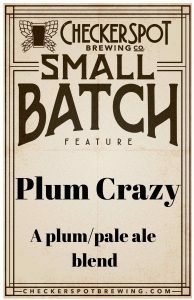 Plum Crazy (5.4%). Fresh juiced plums from Baugher’s Orchard co-fermented with our pale ale base. 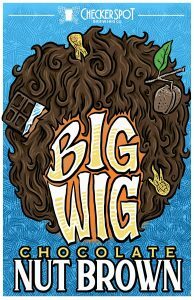 Big Wig (5%). A Chocolate Nut Brown brewed with cocoa nibs soaked in Barfly’s special Buffalo Trace bourbon. 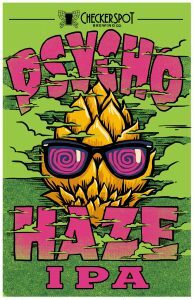 Psycho Haze (6.7%). This NEIPA has juicy, tropical fruit notes from Galaxy, Azacca and Equinox hops, with a touch of local honey. 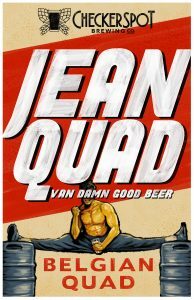 Jean Quad (10.6%). A Belgian style Quad brewed with dates macerated in Barfly’s special Russell’s Reserve bourbon. Definite dark dried fruit (raisin, date) flavors that will warm your belly! 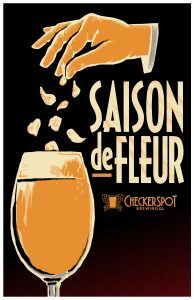 Saison de Fleur: CHAMOMILE (5.5%) Next in the Fleur/Flower series – Belgian farmhouse Saison style brewed with chamomile. Very drinkable and approachable for craft beer aficionados and people who enjoy an easy drinking beer. NITRO: Keeper (4.7% ABV). 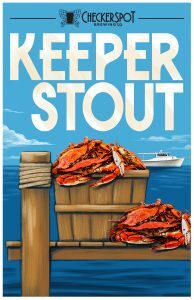 Dark chocolate yumminess, this Milk Stout is brewed with Chesapeake Bay blue crab shells from JM Clayton’s in Cambridge, a 5thgeneration crab processor. The crab shells give the beer a roundness and minerality. 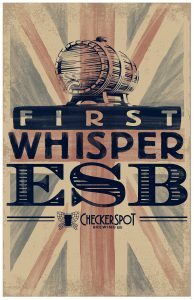 ON CASK: First Whisper(5.3% ABV) A traditional British ESB cask conditioned by our very own Cask Whisperer, Steve Marsh. 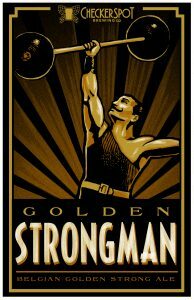 Strongman(10.1% ABV). Double digits here with this Belgian Golden Strong, notes of honey and pear. This one can creep up on you! 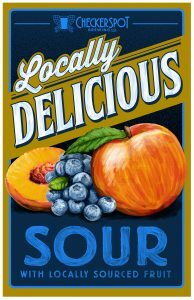 Locally Delicious(5%) – A Kettle Sour brewed with 100% local ingredients. We used 6-row barley from Chesapeake Malting, wheat from Dark Cloud Malthouse, Nugget hops from Bullfrog Farm, and yeast grown by local wrangler, Jasper Yeast. The sour was finished with local peaches and nectarines from Baugher’s and blackberries and blueberries from Caskwhisper Farms. 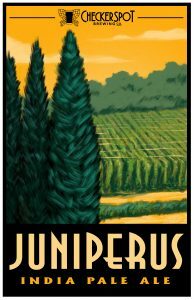 Juniperus(7.4% ABV). An IPA with dank candy flavors and a hint of pine, brewed with Idaho 7 & Mosaic hops and juniper berries. 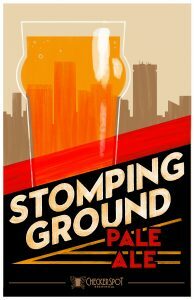 Stomping Ground (5.4% ABV). A Pale Ale heavily hopped with Experimental hop #07270, a trifecta of dankness, pine and delicate citrus. We’re trying to rename the hop Experimental #21230! Pick from 3 Amish cheeses – Sharp Cheddar, Smoked Cheddar and Alpen Kase. Served with crackers. It’ll probably have delicious Checkerspot beer in it!